General TV Channel / Vasantham TV is a Tamil language television channel which broadcasts in Sri Lanka. The channel is operated by the Independent Television Network Limited (ITN Ltd), which is a state governed television and radio broadcaster in Sri Lanka. The channel commenced transmission on 25 June 2009. 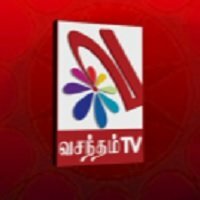 This television channel primarily broadcasts content in the Tamil language, catering to the media requirements of the Tamil-speaking community within Sri Lanka. Vasantham TV broadcasts to the Western Province of Sri Lanka on VHF channel 9. The channel extended its coverage to the North and East of Sri Lanka on 6 January 2010, transmitting via UHF channel 25 and Vasantham TV expand its coverage island wide soon. Furthermore, viewers can stream the channel live, online via the ITN website.